HomeGamma ChatWhat Type Of Barcode Scanner Do I Need? Barcodes play a vital role in tracking shipments, retail pricing, management of financial documents, and many other logistical and organisational services. Consequently, it’s important to ensure you purchase a barcode scanner which enables you to perform these functions as efficiently as possible. As there are a number of options and varieties of scanners to choose from, picking the right barcode scanner for your business can be challenging. • Where will the scanner be used? • What kind of barcodes will you be reading? • How will the scanner be used? • Can you stay connected to a PC? Knowing how you’ll be using the scanner will help you decide what scanner type, form factor, and other options you’ll need. One of the most important factors when choosing a suitable scanner is what type of scan engine it has. Ultimately this depends on what type of barcode the scanner will be reading. 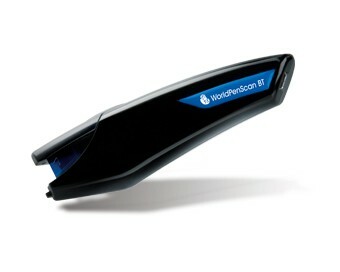 Also known as wand scanners, pen scanners are the simplest and least expensive type of barcode scanner. While most manufacturers do not make pen scanners anymore, their simple design and lack of moving parts makes them a durable and cost effective option. While they are the most affordable type of scanner, they are limited because they are a contact device, where the pen must come into direct contact with a barcode to read it. It should also be noted that shakiness and imprecision of human use can cause inefficiencies. More advanced than pen scanners, laser scanners use a red diode laser to read the reflectance of the black and white spaces in a barcode. Laser scanners are effective at reading small and narrow barcodes and can read barcodes from distances of more than 10 meters. Versatile in which they can either be mounted in a scanning unit or be part of a handheld unit, the main drawback of laser scannersis that they are only able to read standard linear (1D) barcodes. In order for a barcode to be read, the scanner must line up to the barcode. 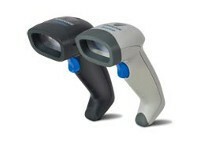 CCD linear imagers are similar to lasers in that they also only read 1D barcodes. However instead of reading reflected light from the laser, they have hundreds of tiny LED lights arranged in one long row that capture a digital image of the barcode. The scanner then analyses this digital image to extract the information from the code. While in the past linear scanners were more expensive than laser scanners, the costs and read ranges have become similar in recent years. Like the CCD scanner, 2D area imagers consist of hundreds of tiny lights, which capture and analyse an image. 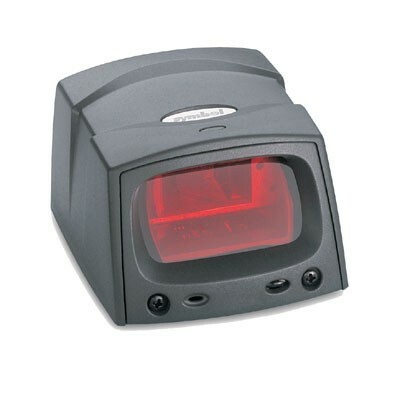 Compared to the linear only devices, these scanners have lights arranged in multiple rows and can read any type of barcode including 1D, stacked, and2D barcodes. Another advantage is that the orientation of the barcode isn’t important when reading, where it can read a code in any direction. This results in faster reads with less aiming. Some 2D imagers can also read barcodes off of any surface including a monitor or phone screen. With their added abilities and very aggressive reading, 2D imagers are becoming more popular in all industries to speed up scanning applications and expand the ways in which barcodes are used. Once you know what type of scanner you’ll need, the next area to look at is the form factor of the scanner. You’re probably already familiar with the basic gun-style and in-counter scanners which are located at supermarkets, but there are a few other types you should consider. Each scanner has its advantages, so knowing how you will use the scanner is important in selecting a form factor. Handheld scanners are easy to use and by far the most common form of scanner. 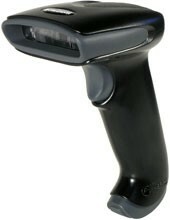 To use a handheld scanner, the user simply aims the scanner at the barcode and pulls the trigger. Handheld scanners are versatile in which they can be used for a number of different functions including, shipping and receiving, point-of-sale, loyalty applications, cheque-Ins and product and component tracking. They are also available in cordless form to avoid cable clutter and to increase your mobility. Mobile computers such as the Handheld Algiz 8X provide complete freedom since both the PC and scanner are in a single device. Where other scanners need to be connected to a PC, mobile computers can move around freely while storing information into their internal memory or by communicating via Wi-Fi and (WAN) networks. 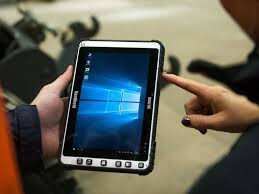 Mobile computers are ideal for applications that require the user to be completely mobile such as in inventory management and asset tracking. 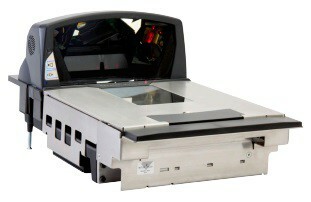 Most commonly found at supermarkets and self-service checkouts, in-counter scanners have the scanner embedded into a counter-top. Units are easy to operate for any user, and often have integrated scales. Every scanner has to communicate with a PC to transmit the barcode information into the software that you’re using. Historically, corded scanners only connected directly to the PC through a cable. This type of connection are still the most common for corded scanners, however serial (RS232), PS/2, and proprietary terminal connections are also available for many models. While they’re generally more expensive than their corded counterparts, cordless scanners have become increasingly popular as prices have decreased. Unlike corded scanners, cordless scanners communicate to a base station wirelessly. This base station is then connected to your PC through a cable. Since the cradle and scanner handle communication, your PC does not need to have any wireless support. This means that if you want to upgrade from a corded scanner to a cordless one, your computer will not be affected. Most cordless scanners use bluetooth to communicate, where the range can be anything from 10 meters to more than 60 meters for specialised models. Some models also offer additional features that corded scanners don’t, such as batch memory modes and direct pairing. While cordless scanners can be more expensive, they provide greater mobility and freedom as there are no cables to trip over. When purchasing a scanner, it’s important to note where you will be using it. Environment is a big factor in selecting a scanner, as you could seriously damage or break a scanner if it is not built to withstand the environment in which you’re using it. Most scanners are designed for daily use in an office or retail environment, where the occasional drop will not cause any damage. 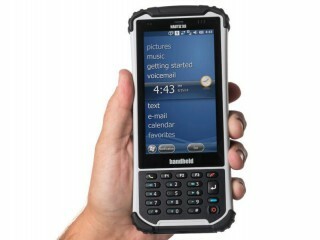 If however, you’re using scanners in an outdoor or warehouse environment, you will want to consider a rugged product like the Handheld Nautiz X2. Rugged units are tough enough to handle the conditions in your warehouse as well as outdoor environments. With the ability to withstand temperatures between -20C and 60C, water and dust resistance and being shockproof, rugged devices are built to survive repeated drops and punishing weather conditions. While rugged devices are more expensive, the time lost if your scanner breaks, and the cost of a replacement can far exceed the initial investment of a rugged device. There a number of different barcode scanners available, where the type of barcode you need to read, the form of device, and the environment in which you’ll be using the scanner need to be taken into account. With all the options available for barcode scanners today, it’s important to find the right device for your business needs. By determining how you will use the scanner, what features you need and where you will be using the device, you will be able to make the decision process easier. If you are still unsure of what product is right for you, or if have any questions, why not give us a call on 1300 042 662.